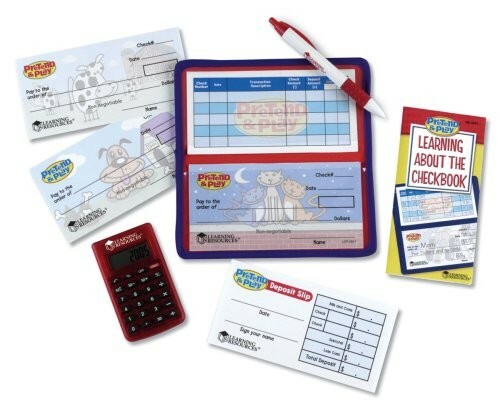 It's fun to play like you're a grown up with Learning Resource's chequebook! 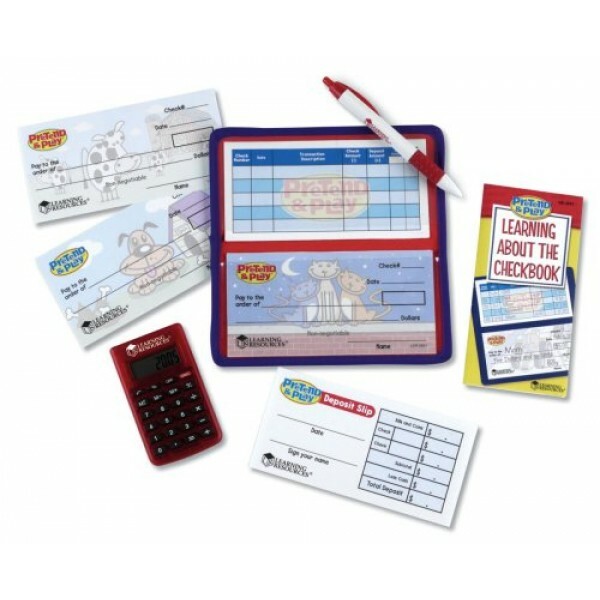 Kids fill out pretend checks, make payments and calculate their balances as they learn about check writing. Calculator is battery-powered, and checks are actual size for even more realistic play. Includes 25 checks, check register, pen, calculator, deposit slips and instruction card.